There are an endless number of effecting moments in 12 Years A Slave. The despair of the boat ride that brings Solomon to the South. How Michael Fassbender embodies a truly sinister character in Edwin Epps. The eeriness of Mary Epps’ voice, heard off camera instructing Platt to whip Patsey. The joy and pain Solomon experiences writing and destroying a letter. But there is one moment, so profound, it somehow resonates above every other. At this juncture of the film, we have experienced so much with Solomon. His happiness. His kidnapping. His physical pain. His heartbreak. His agony. His refusal to accept himself as Platt. And as he joins his fellow slaves in singing “Roll Jordan Roll”, we are experiencing his defeat. 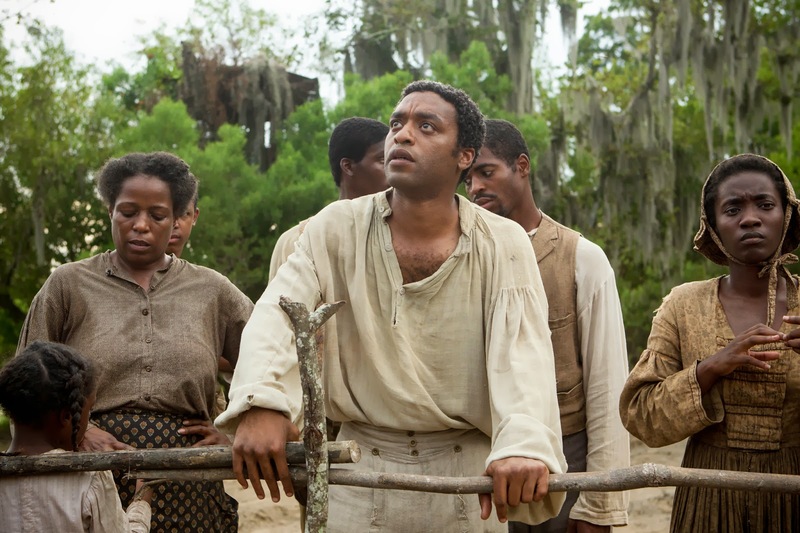 There’s an added element beyond the scope of 12 Years A Slave. Ever since I saw Dirty Pretty Things (2002), I have been waiting for Chiwetel Ejiofor to have a breakout role. Of course, the major breakout star of 12 Years A Slave will undoubtedly be Lupita Nyong’o but this film is equally as important for Ejiofor who despite being a fantastic actor is getting a little recognition. Because when Chiwetel Ejiofor sings, it’s pretty damn awesome.